FL teachers often complain that their pupils have “no grammar”. But central categories like verbs, nouns, adjectives etc. are only profound mysteries to the pupils in the sense that they cannot define them adequately. Given a few MT examples, perhaps a phrase with a slot for adjectives, they will correctly fill the slot with many more adjectives. Grammatical categories live in the minds of school children, they know them in a functional, can-do way, even if they cannot define them properly. This knowledge, slowly acquired over our formative years, makes the MT the magic key to foreign grammars – regardless of whether the grammars share the same surface features or not. Because they do share an underlying common logic which we have assimilated through our first language, even though all languages vary in the details of their expressive mechanisms. Let me give just two examples. School children, unlike infants, can handle pronouns like I, me, my, you, your, which are difficult because they shift their meanings according to who speaks. When I say I, I mean me; when you say I, you mean yourself, that is a different person from me. So, at an early stage, infants may say you, when they mean I, and vice versa. These difficulties have long been mastered by the time they come to school. The MT has paved the way. We also take it for granted that we can say “my head” and “my father” as well as “my garden”. But we are mentally prepared to use a different possessive for “my garden”, as some languages in fact do – because it makes sense to distinguish between ‘alienable’ and ‘inalienable possession’. “My head” and “my father” will remain mine as long as I live, but I can sell my garden. All languages have evolved means of expressing core concepts such as possession, location, direction, number, countables vs. uncountables, action, the doer of an action, the instrument of an action, negation, possibility, causation, condition, and a host of other concepts. It’s because of this, no matter how languages actually express these concepts, that one naturally acquired language is enough to open the door for the grammars of other languages. We are ready for these categories. Readiness is all. We have gained access, through the MT, to an overall logic found in all languages. To put it in a nutshell: two or more languages, but one mind. So it’s all there already. Most of these concepts are available at the FL initial state. They are the base camp from which we set out to conquer new language territories. It has taken children years to obtain these competencies which make instruction possible in the first place, be it maths, geography or another language. It makes excellent biological sense for a new language to piggyback on, or plug into, this open channel of communication. All of us who are fluent in our mother tongue (or, additionally, in a second language acquired naturally) have a gift for foreign languages as well. My optimism here is quite realistic. 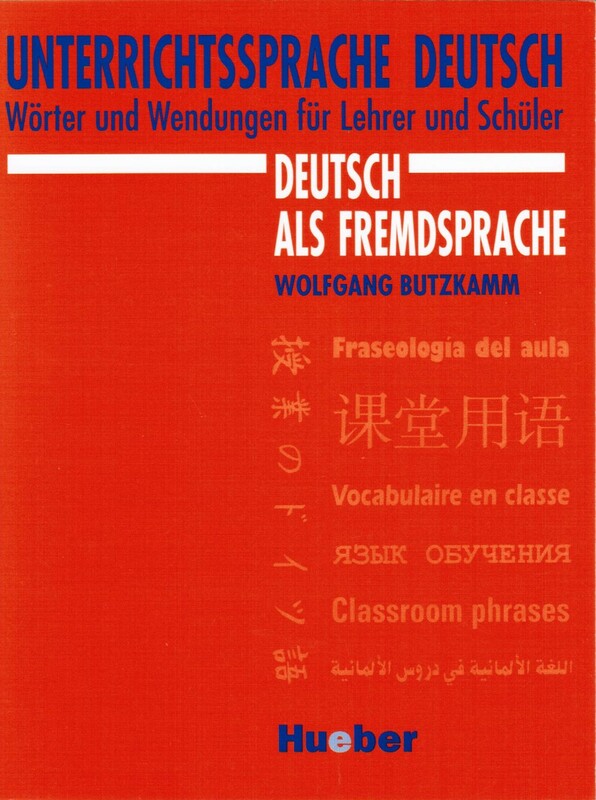 However, monolingual orthodoxy ignores the very foundations on which FL learning is built. 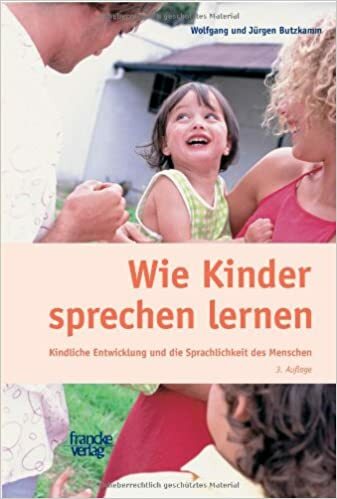 Pedagogic research has shown that successful learners capitalise on the vast amount of linguistic skills and world knowledge they have accumulated via their own language – whether the teacher skilfully supports these processes or not. Brain research clearly says that learners must make this critically important connection – until the FL has established an ever-more powerful and complex network for itself. Our job is to assist them in this task instead of ignoring, bypassing or suppressing what goes on in the pupils’ minds. 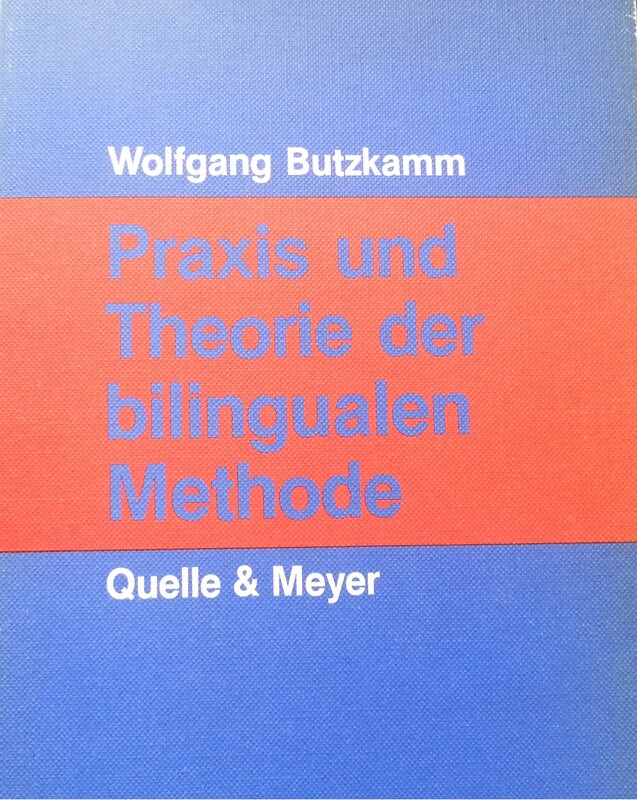 We can use the MT as a rapid conduit (or pipeline) to grammatical meaning and conceptual understanding, and at the same time provide the necessary language bath. The scandal of foreign language teaching is a double scandal. Some teachers use the MT too much, haphazardly, at the cost of the FL; others don’t use it at all, or sparingly, i.e. they never systematically use any of the highly efficient bilingual techniques, which are well-founded short-cuts to understanding that have stood the test of time. Avoiding abstract terminology through idiomatic translations. You needn’t have said anything.You needn’t have come.You needn’t have gone to hospital. Du hättest nichts sagen brauchen.Du hättest nicht kommen brauchen.Du hättest nicht ins Krankenhaus gehen brauchen. Translations provide a spontaneous intuitive understanding without recourse to language analysis. If it had rained, we would have stayed at home. Wenn es geregnet hätte, wären wir zuhause geblieben. S’il avait plu, on serait resté à la maison. We don’t need terms like “imagined past conditional”, do we? The translation is already the grammar. It is the difference between slinging around technical jargon and offering immediately accessible insight. Real-life examples, well understood, are unwritten, silent rules which reflect language behaviour directly. People can learn foreign languages even if they are out of their depths when it comes to language analysis. 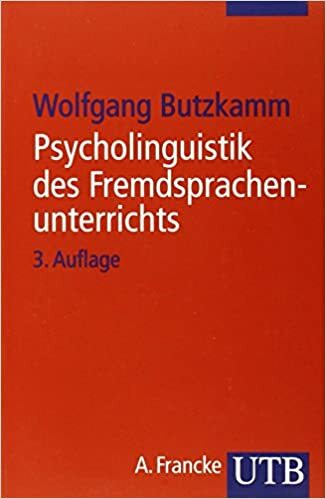 Our minds were specially designed to learn languages, but not to do the mental acrobatics of linguistic analyses. Here is another bilingual technique which can be extremely helpful but is never used in English-only teaching contexts. We have called it mirroring, and it is a kind of literal translation adapted for teaching purposes. It is optimal when learners have difficulties in parsing and processing foreign sentences correctly. nán bù nán? 难不难?hǎo bù hǎo? 好不好? Is it difficult?Is it good? guì bù guì? 贵不贵?yuǎn bù yuǎn? 远不远? Is it expensive? *Expensive, not expensive?Is it far? *far, not far? By making the MT dovetail with the FL construction, we achieve an uncomplicated clarity which grammatical explanations seldom have. 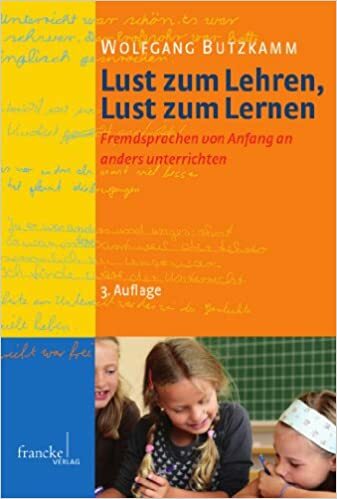 In German we don’t say “How long have you been teaching English?”, but *How long teach you already English? *How long work you already for this company? *How long attend you already this course? *How long teach you already English? *How long work you already for this company? *How long / since when attend you already this course? Wie lange unterrichten Sie schon Englisch?Wie lange arbeiten Sie schon für diese Firma?Wie lange / seit wann besuchen sie schon diesen Kurs? There are two solutions.There were three speeches.There were two popes. Es gibt zwei Lösungen.Es gab drei Reden.Es gab zwei Päpste. *It gives two solutions. *It gave three speeches. *It gave two popes. Il y a deux solutions.Il y avait trois discours.Il y avait deux papes. *It there has two solutions. *It there had three speeches. *It there had two popes. Ich kann das Wort nicht finden.Ich kann viel Geld verdienen.Ich kann nichts hören. *I can the word not find. *I can a lot of money make. *I can nothing hear. The very oddity of the construction will make it stick. Mirroring works as a kind of inoculation against unthinking transfer of mother tongue habits. For Anglophone learners of German we can even imitate the fact that German adjectives take endings like nouns: Germans don’t say “green apples”, they say something like *”greens apples”. The MT analogy is a perfect mental tool to grasp foreign constructions intuitively. Mirroring can make “odd” constructions legitimate in the eyes of the learner, and the understanding that comes with it can be deeply satisfying. It is a shame that this central technique of unravelling the puzzle of foreign expressions should be so little used in classrooms. I’m Jack’s mother.I’m Jill’s mother. *Jack sons me. *Jill daughters me. In Turkish, ‘teşekkür ederim’ is the usual way of saying ‘thank you’. But only the mirrored version *thanks make-I’ will help you to build your own sentences. All constructions, no matter how remote or exotic they may seem at first sight, will in this way find some echo in our linguistic consciousness. Don’t we all know it in our bones: When we encounter a new piece of language, we want to know straight away what it means precisely and how it functions in a sentence, so that we can put it to use immediately, work with it and make the most of it? Or are we content with linguistic jargon and inaccurate guessing? Are we prepared to wait perhaps for weeks until the penny drops? Is the slow struggle for comprehension with a teacher miming and arm-waving and drawing little stick-figures on the board really preferable? – Let us do what comes naturally – it is all so blindingly obvious. There are more of these clearly defined and brain compatible bilingual teaching techniques which we recommend using alongside proven monolingual activities. Their combined use can change both teachers’ and students’ lives for the better. If you ask me, the English-only orthodoxy is outright denial of assistance. Well, yes, a criminal act, when it comes to teaching beginners and intermediate learners. Thanks, Mario, for being so frank. A pragmatic, face-saving compromise, i.e. a relaxed monolingualism with small concessions to some MT support, has only muddled the issue. It is no longer acceptable. The MT, or the language which has become dominant in a learner’s life, is the very bedrock indeed for the learning of FLs. Because it’s the best window into the logic of another language. The MT, the mother of languages, as an 18th century author put it. What is needed is a paradigm shift which, in any academic discipline, almost resembles a change of government or power. The proponents of monolingualism would lose influence. That’s why we can only count on a new generation of scholars to clean up this mess. But we can start now and free teachers from a self-defeating dogma. My hope, my utopia is to see foreign language teaching and learning made much easier than it is now. 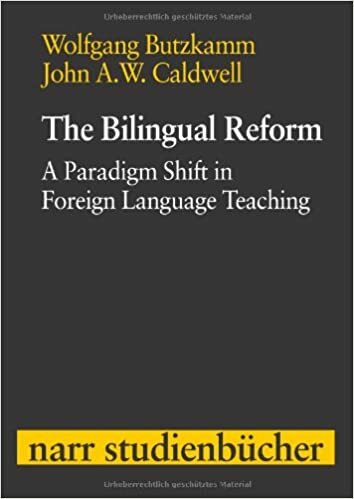 Here is the book which deals in depth with this issue and describes a variety of well-documented bilingual techniques to extend your practice opportunities and enrich your teaching repertoire. Dieser Beitrag wurde am 4. Juni 2013 von WolfgangButzkamm in English articles veröffentlicht. 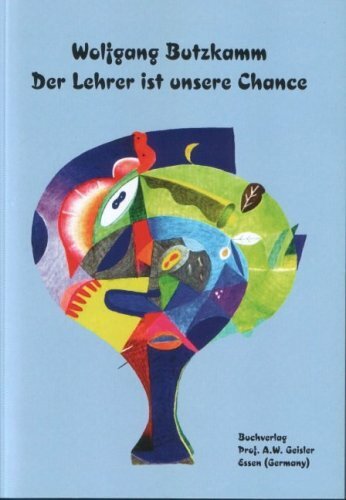 Schlagworte: double comprehension, idiomatic translation, Mandarin, mirroring.